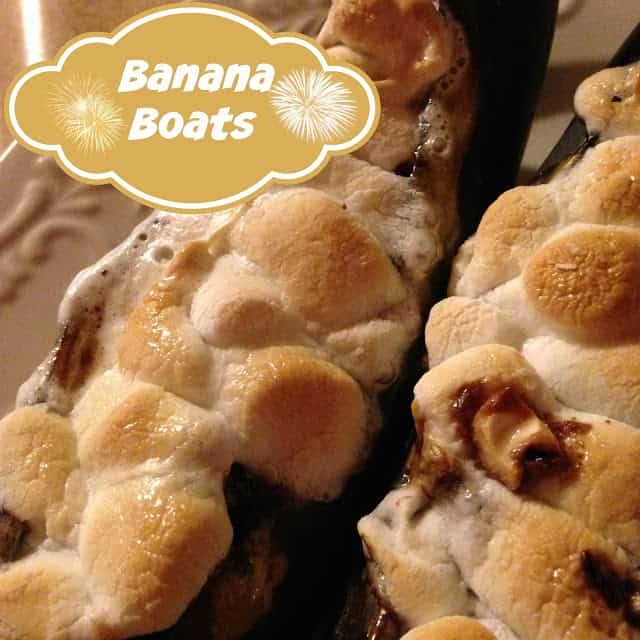 You won’t miss the boat with any of these delicious Banana Boat Recipes. All four recipes can be made on the grill, over an open camp fire or even in the oven. 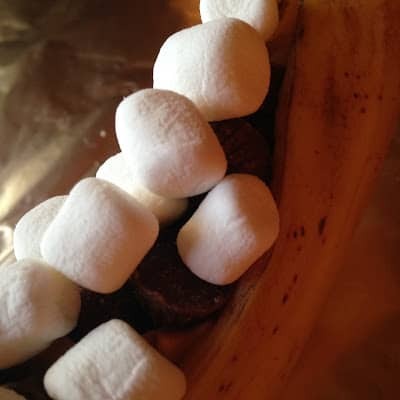 Your kids and grand-kids alike will enjoy making banana boats this summer. 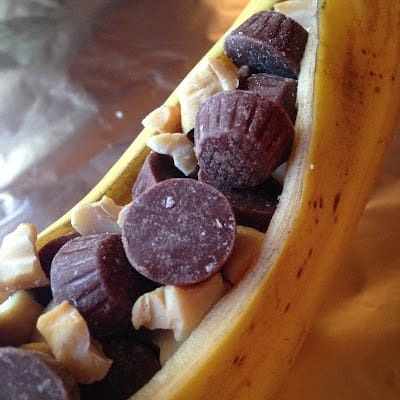 You can make banana boats while your camping, grilling out or even inside on a rainy day. Assemble all Banana Boat ingredients and head outside. 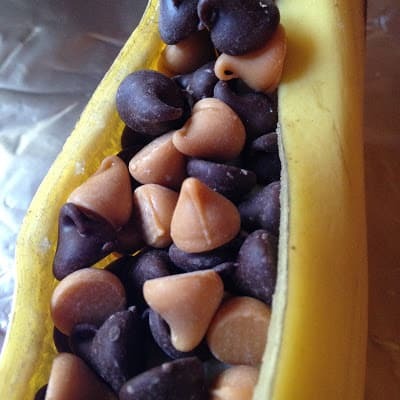 I have included four delicious recipes to make banana boats. Each recipe serves one but you can easily double, triple, quadruple…and so on. 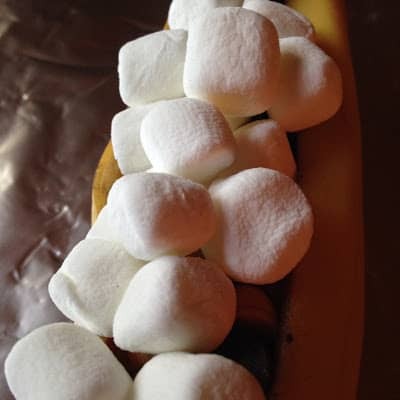 There is no limit to how many banana boats you can make, you can make as many banana boats as you can eat! Prep time for each boat, is about 5 minutes and cook time is roughly 10 minutes. Cook times will vary according to method used. 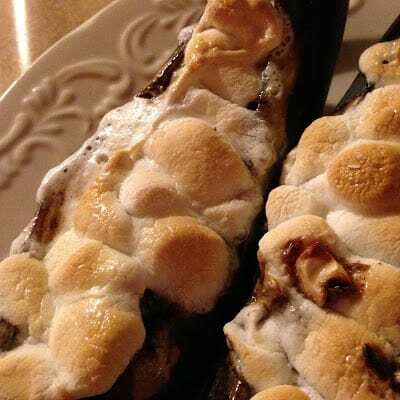 The first recipe is for S’more Banana Boats. 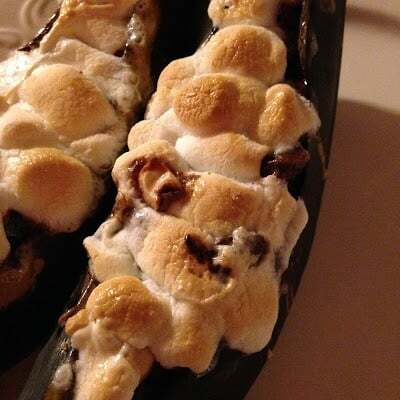 They’re reminiscent of that classic summertime favorite, the S’more. The second recipe is a real coconut lovers dream come true, Coconut Banana Boats. The third recipe is made after one of my favorite dessert bar recipes, the seven layer bar. 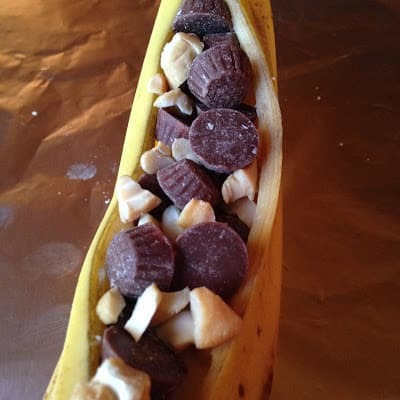 Seven layer Banana Boats are delicious. 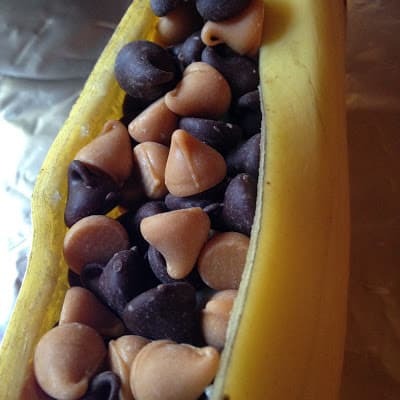 Last but not least is our recipe for Anna Banana Boats, made with mini peanut butter chips. 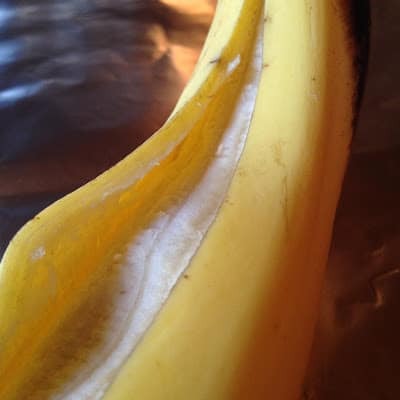 With a sharp knife, make a cut along inside curve of banana. Press ends together slightly to open and to form a pocket. 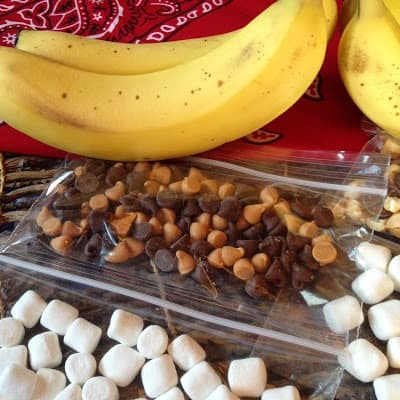 Fill each banana pocket with chips, marshmallows and any other ingredients using. Press into banana slightly. 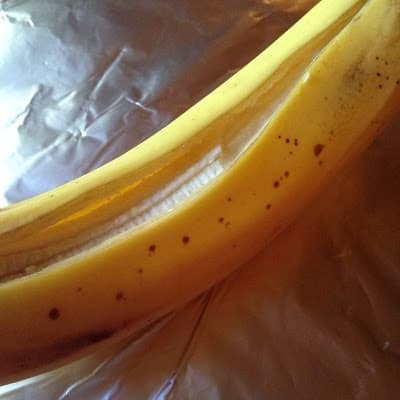 Wrap banana loosely in a sheet of heavy duty foil. 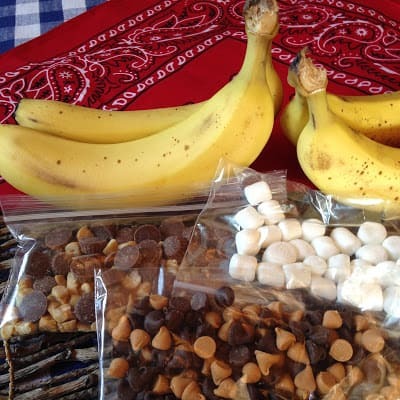 Place foil wrapped banana’s in camp fire, on grill or in the oven. Let the flames die down somewhat before adding the foil packets to the hot wood coals. Place foil packets directly on grill. Grill packets for 5 to 8 minutes or until bananas are black and everything is melted and gooey. Place foil packets directly onto oven racks. Bake in oven for 10 to 15 minutes or until bananas are black and everything is melted and gooey. Thanks so much for traveling with us!! In August we are traveling to England! These look too good! Thank you so much for linking up at Tasty Tuesday! This post has been pinned on the Tasty Tuesday Pinterest board! I love having you and can't wait to see you next week!